The Center provides cosponsorships for departmental events or collaborative projects hosted by other campus units. To be eligible for award, events must be interdisciplinary with a strong humanities component, free and open to the public, and cosponsored by at least TWO departments or units. Requests are considered on an on-going, case by case basis and as funds permit. Possible award amounts range from $100-$200 for smaller events up to $500 for conferences. Larger funding needs should be requested through annual project funding calls on our Funding page. To request funding support, complete the form below and click SUBMIT. You will receive an email to confirm that your submission was received. 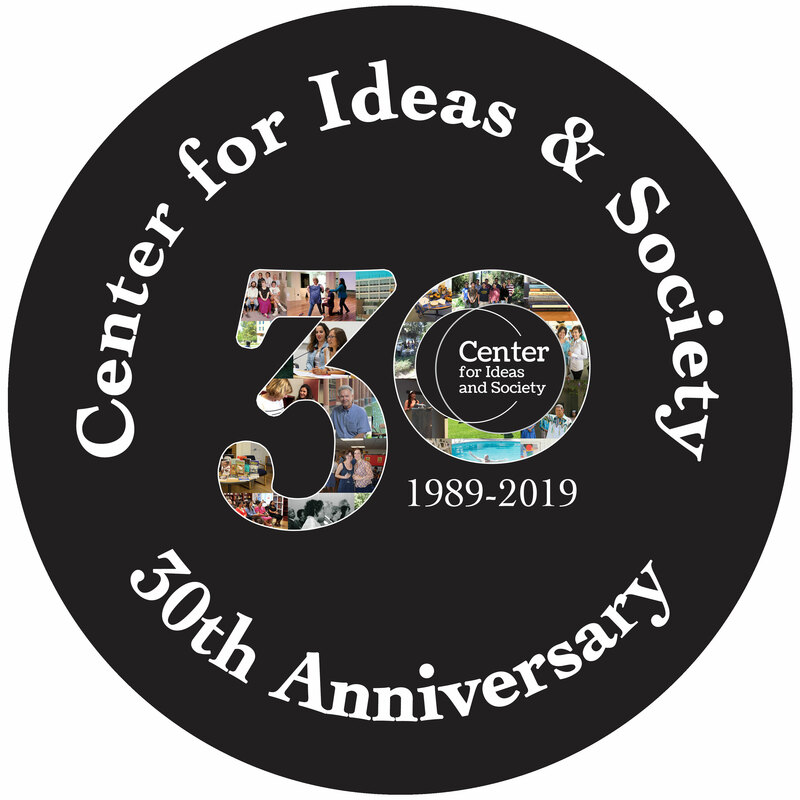 Please acknowledge the Center’s sponsorship on your flyer and other advertisements. Note: We can promote cosponsored events in our weekly email newsletter and Facebook page. 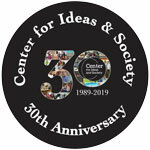 Add the Center for Ideas and Society as a ‘group’ on your UCR calendar (Localist) event listing. The event will be included on our web calendar and listed with our events. If you have questions about cosponsorships or other funding needs, contact Katharine Henshaw. 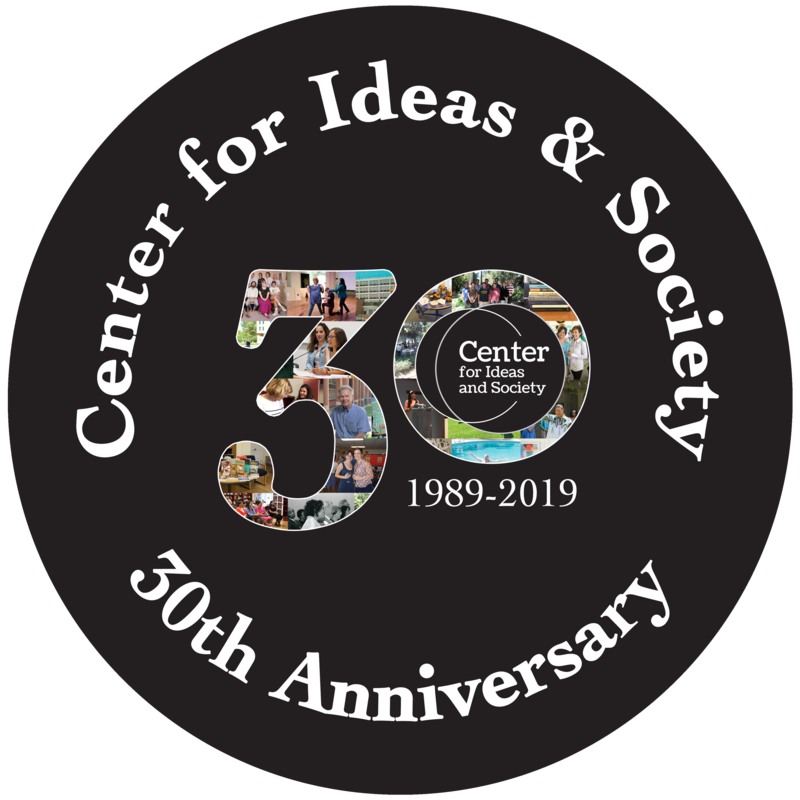 The Center’s 30th anniversary logo is available in high-res jpeg or png format for use on web or print materials.